NYC based company, Quiet Events® is hosting their first-ever Quiet Clubbing® party in The Lone Star State on Saturday, February 27th, at East Austin hotspot, The North Door. DJ’s love it because they get immediate feedback as to who is listening to their channel, they’ll even start competing amongst each other to win over listeners making the music even better for the party-goer. It’s simply a better way to party. 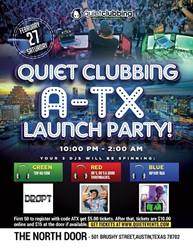 For those who haven’t yet heard of what is now the biggest entertainment craze in Europe, Asia and taking over the US since Flash Mobbing, Quiet Clubbing® is a live music event where three music stations featuring DJ’s spinning 80’s, Top 40, Hip-hop and everything in between, are streamed through wireless headphones worn by partygoers. The result? Hundreds of partiers dancing, singing, socializing and never leaving the dance floor, as they actually control the genre and volume level of the music they’re listening to. The entire headphone glows as they switch between the DJs to indicate which station someone is listening to so revelers can dance to their own beat, follow the crowd, or simply spectate. If someone wants to chat up a friend and/or hottie, they simply remove their headset and are actually able to hear the person they’re talking to sans blaring club music. 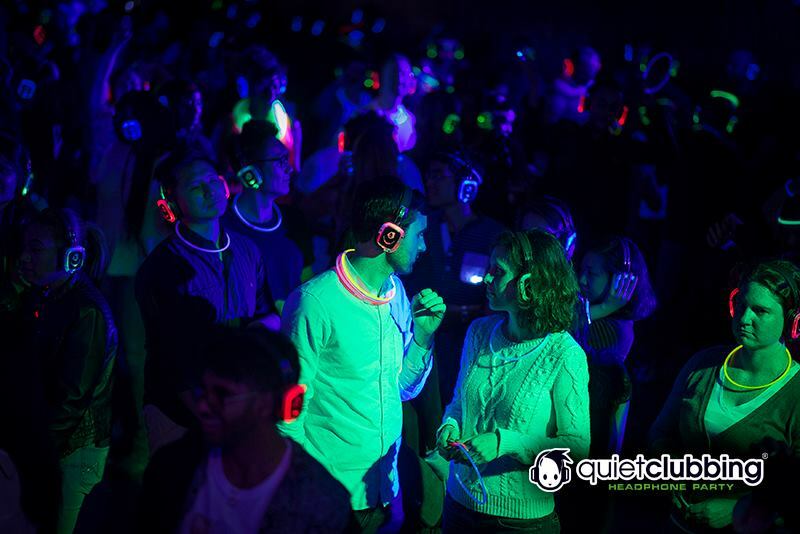 Due to a welcome reception and growing demand, Quiet Events® has quickly gone from a start-up into a full-fledge business operation, providing head phone rentals across the US and producing weekly parties and events across the Tri-state area, San Francisco, LA, Boston and now Austin, TX. 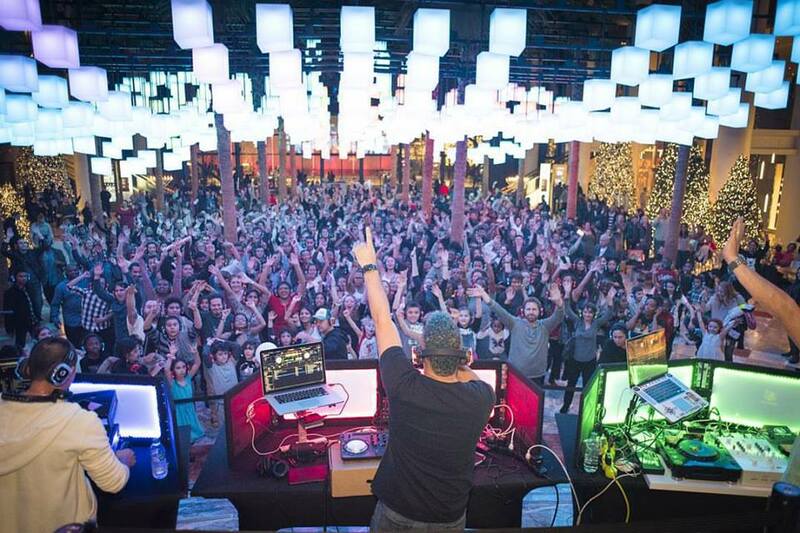 Three of Austin’s top DJs will be performing on Saturday. DJ Steady B will be spinning 80’s, 90’s and 2000’s throwbacks. DJ AR will cover Hip-hop and R&B and duo DROPT will keep the Top 40 & EDM crowd moving. REGISTRATION & COST: Pre-registration available at QuietEvents.com for just $10.00 online, $15.00 tickets at the door the night of the event. Founded in August 2012, Quiet Events® offers city-dwellers and tourists of all ages and orientations an innovative NYC club and party experience like none other. The company offers headphone rentals across the US and produces Quiet Clubbing Parties, Tours and Events in the Tri-state (NY, NJ, CT). Great for any occasion, (partying solo, with friends, birthday celebrations, a girl’s night out) Quiet Events are hosted at NYC clubs, lounges, out-door venues and even on subways throughout the city. Events are hosted almost weekly and run $25-50.00, depending on the event. Quiet Events®, is a subsidiary of Klear Sky Management Inc., a privately held company headquartered in Queens, NY. For more information visit QuietEvents.com.